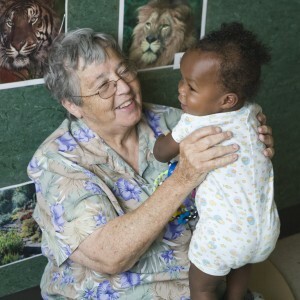 The Greater Missouri Leadership Foundation has named Sister Berta Sailer as its 2010 Woman of the Year. The Woman of the Year award recognizes a Missouri woman who has shown outstanding leadership and has served as a role model and inspiration for other women. 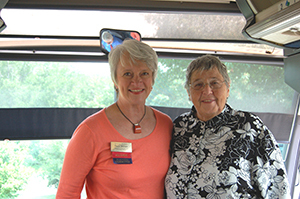 Sr. Berta is a tireless example of a Greater Missouri woman who identifies an issue and addresses it head on. In 1971, she and Sister Corita Bussanmas recognized needs in their community and co-founded Operation Breakthrough to provide childcare and other social services for working-poor families in Kansas City. This not-for-profit agency is now the largest single-site childcare center in Missouri, caring for more than 600 children each weekday who come from homeless shelters, foster homes and struggling single parent families. Sr. Berta has addressed the Greater Missouri class for several years, sharing compelling true stories of the low income families in the 31st and Troost neighborhood in Kansas City, and suggesting very specific steps to address those problems. She and co-founder Sister Corita have gone beyond their work at Operation Breakthrough and are licensed foster parents to and have adopted four children ranging in age from 9 to 16. “Sr. Berta is a bit of a bulldog. She knows what needs to be done and will stop at nothing to ensure it happens. She has made the children of Operation Breakthrough her life: personally and professionally. That’s why we wanted to recognize her” said Greater Missouri board president, Carol Wilke. Sister Berta joins a distinguished group of Greater Missouri Women of the Year, including Linda Arnold, the late Duana Dralus and Claire McCaskill. She will be honored at a luncheon on Friday, June 4 at The Central Exchange in Kansas City.